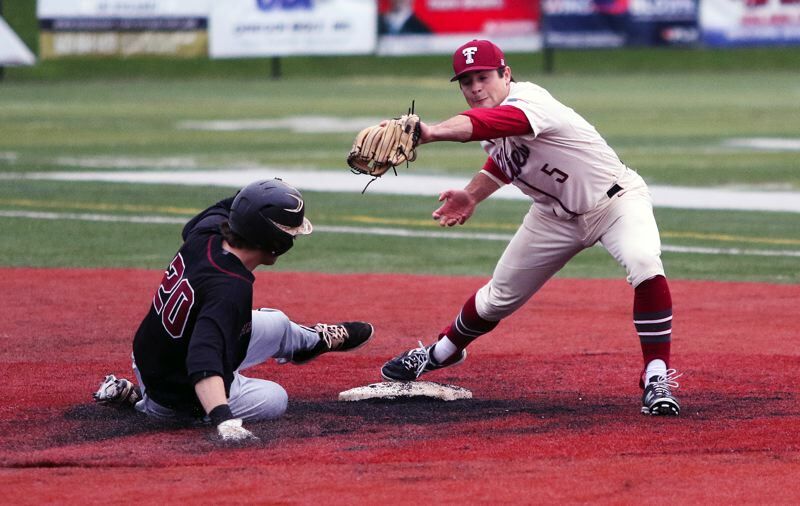 TIGARD — In a game against the undefeated league leaders, the Tualatin High School baseball team knew it had to strike early, and strike often. Well, the Timberwolves just that, and, because of it, they were able to hand Sherwood its first Three Rivers League loss of the season. 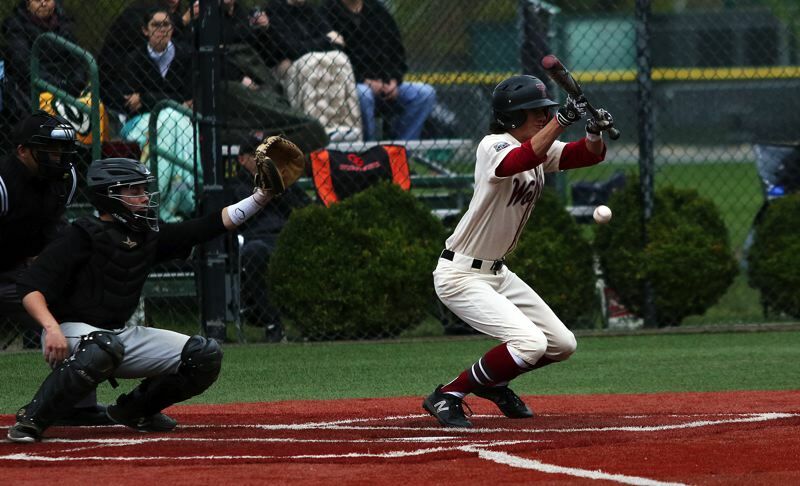 Tualatin, grabbing an early lead and never letting up, scored a 6-1 league win over the Bowmen in a game that was moved to the turf field at Tigard High School on Saturday. 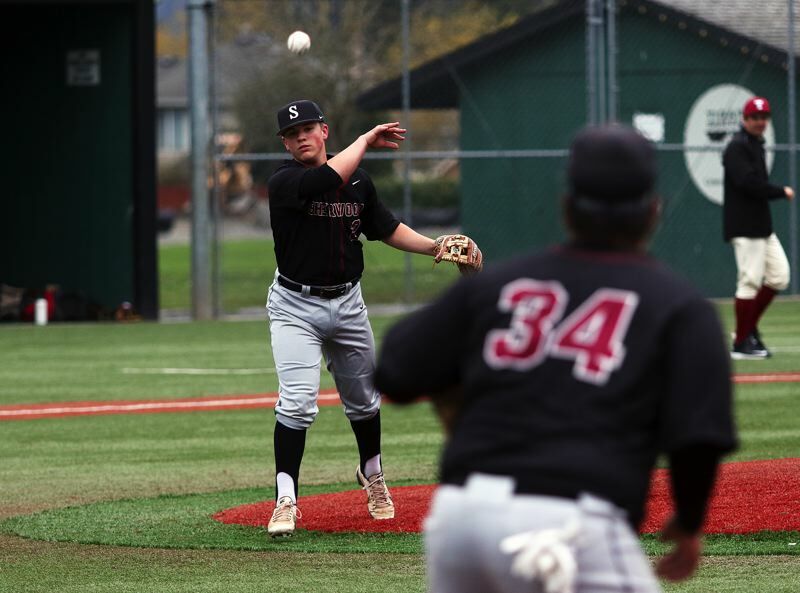 "This was a big win," said Tualatin senior Colby Jackson, who turned in a complete-game pitching performance on the mound, while also having a pair of hits at the plate. "Sherwood's a good club, and to beat them under these conditions was great. We got runs early, and that takes a lot of pressure off a pitcher." 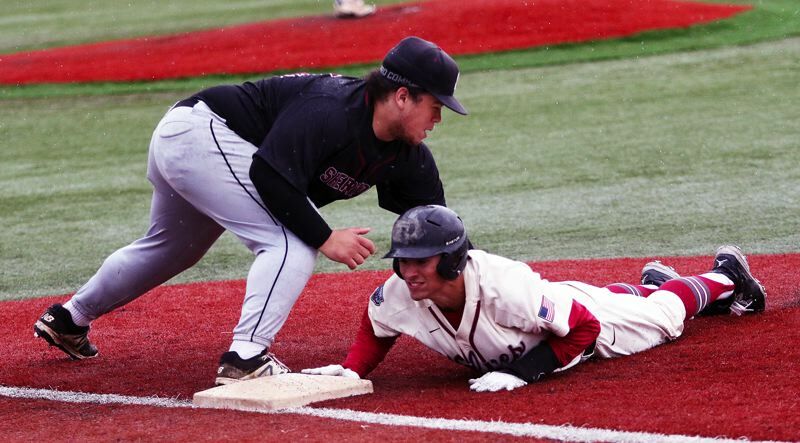 "It's a pretty big win, they were undefeated," Tualatin senior first baseman Kaden Cook said. "It was a pretty big game to get the No. 1. We just kind of toughed it out and came ready to play." 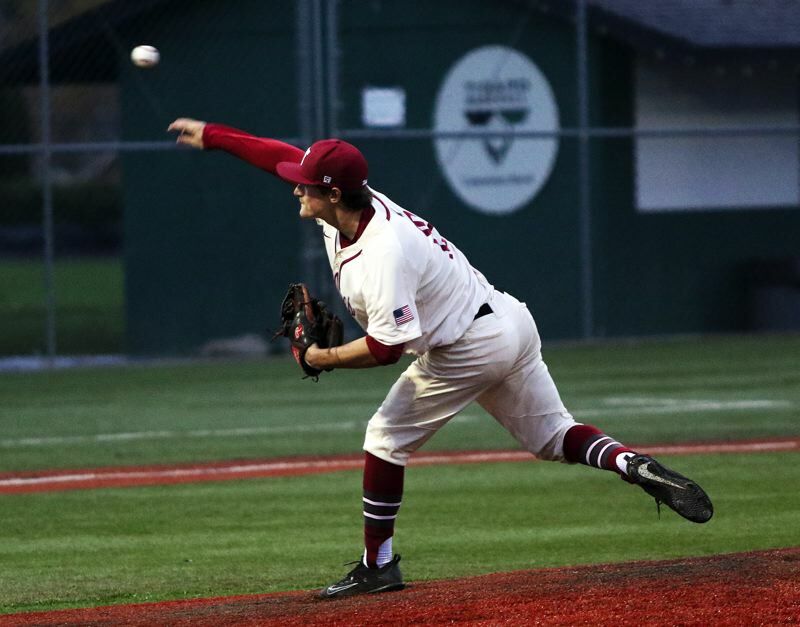 With the loss, Sherwood moved to 4-1 in TRL play (9-3 overall), putting the Bowmen in a tie with Tualatin and West Linn for first place in the league standings to that point. "We played our best, but things happen," said Sherwood senior first baseman Nic Garrison, who doubled and scored the Bowmen's run. "Things didn't go our way. That's baseball. But we'll come back. They're a good team, a really good team." 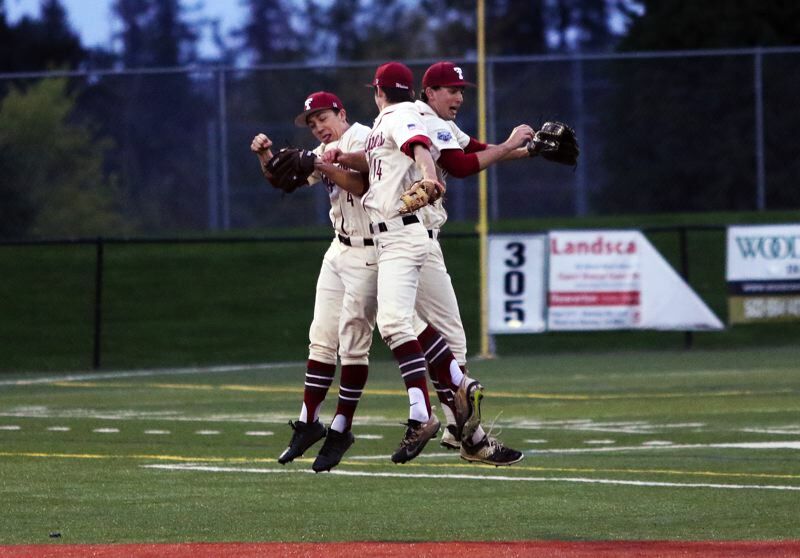 Tualatin upped its overall record to 9-3 with the victory. "We just stayed focused the entire week," Jackson said. "We can't take anybody lightly, and I'm glad we came out on top today." 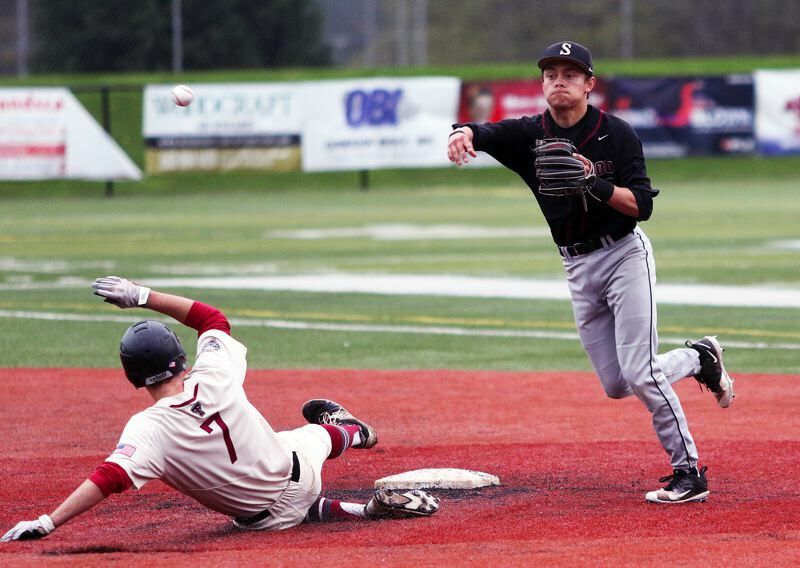 Tualatin, in Saturday's game, took a 1-0 lead with a run in the bottom of the first inning. Jackson started things with a one-out single to right field. He then scored on senior Cole Kinman's ground-rule double to center field, giving the Wolves their early advantage. Tualatin added two more in the bottom of the second inning. Sophomore Blake Jackson and senior Chris Freese had back-to-back singles to lead off the inning. Senior Danny Shell followed with a bunt single, loading the bases with no outs. Blake Jackson would score on a one-out sacrifice fly by junior Kyle Dernedde. Freese scored later in the inning on a balk call, upping the Wolves' lead to 3-0. Tualatin struck for two more in the bottom of the third. Cook ignited things with a one-out single to left field. Blake Jackson was then hit by a pitch, and Freese walked, loading the bases with one out. Cook then scored on a fielder's choice grounder by Shell. Blake Jackson would score from third base later on in the frame, when Shell was caught in a rundown between first and second, pushing the margin to 5-0. 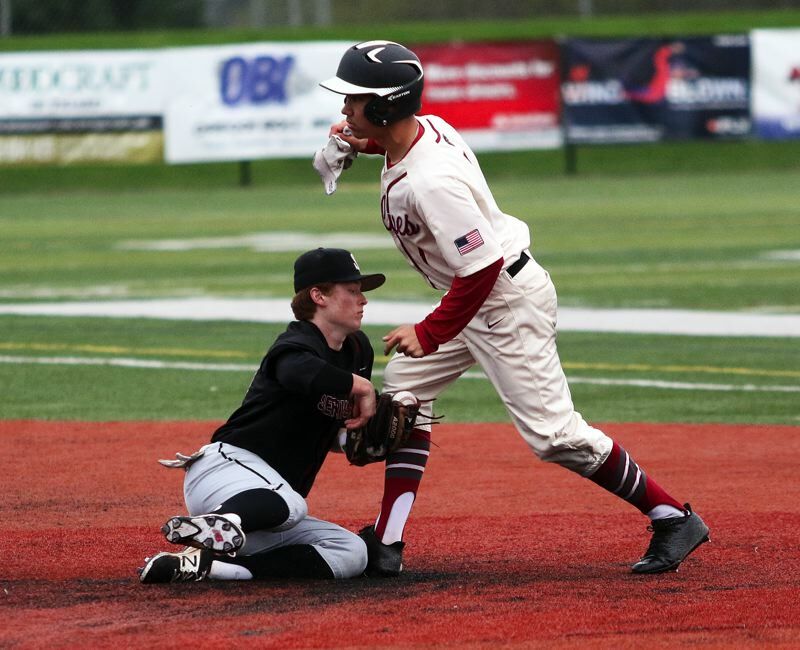 Tualatin got its final run in the bottom of the fourth inning. Junior Jett Searle, leading off the frame, was hit by a pitch. Searle then stole second base, stole third base and then scored on junior Gavin Moore's two-out single to left field, making the score 6-0. Sherwood, still battling, got its run in the top of the fifth inning. Garrison, leading off the frame, hit a line-drive double to left-center field. "Man, I hit that ball great. It felt good off the bat," Garrison said. "When I saw the left fielder bobble it, I was thinking two all the way." Garrison moved to third base on a single by senior Riley Aggson. He then scored on a fielder's choice grounder by junior Sage Dunaway, making the final score 6-1. "Colby threw really well," Cook said. "He hit his spots all night, so credit to him. "We had a couple big double plays, especially in the first inning. The outfield was great." Colby Jackson, in pitching the distance, gave up one run on six hits, while striking out five and walking none. "I was just focusing on not giving any free bases, no walks," he said. "I wanted to throw strikes and let my defense work. We have one of the best in the state." Blake Jackson went 2 for 2 at the plate in the win, with a triple and pair of runs scored. Colby Jackson went 2 for 3 with a run. Cook, Freese, Kinman, Moore and Shell added one hit apiece. "Our lineup has been like that all year," Cook said. "Everyone can hit." "We had a few big hits in big situations," Colby Jackson said. "We executed, and that's why we came out on top." For Sherwood, Garrison went 2 for 3 with a double and a run scored. Senior Bryce Vaughn, junior Anthony Garrett, senior Jacob Matzat and Aggson added one hit apiece. "We're having a lot of fun," Garrison said. "We've got a strong team. We play well together." The teams will finish their series Thursday with a 5 p.m. game at Sherwood. 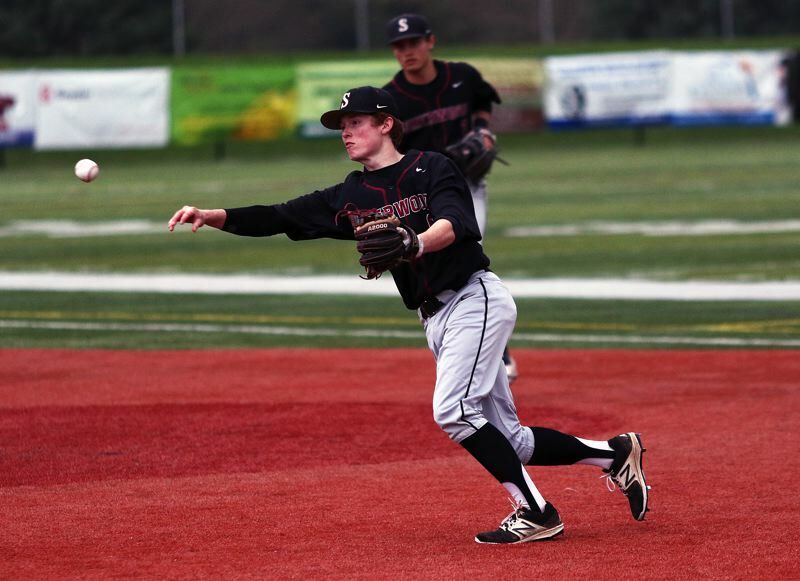 On Friday, Tualatin will host Lake Oswego and Sherwood will be home to face Newberg in 5 p.m. league games.